Fans of the late, great Keith Flint have started a campaign to get The Prodigy’s 1996 club classic Firestarter to number one in the charts. 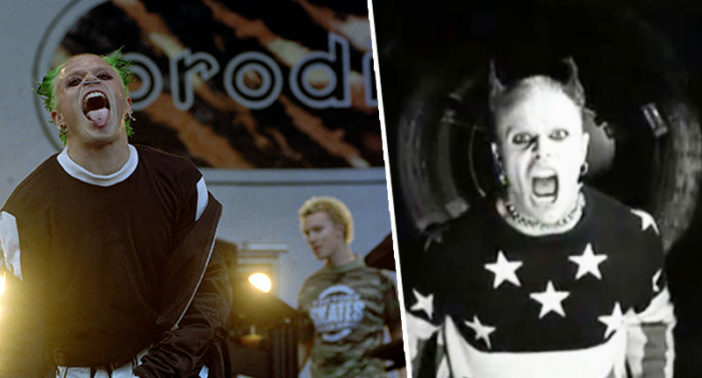 On March 4, Keith Flint was found dead at his home in Essex at the age of 49. His death came as a shock to fans, with many expressing their sadness through social media tributes. This new Facebook campaign is a touching reminder of the legacy Flint has left behind. If you don’t want to spend any money then place the song on repeat in a streaming platform such as Spotify or Deezer then mute it and leave it on. This will also count towards the charts. Fans have found a sense of community through participating in this campaign, praising the founders for keeping the fire alight. The sense of community this campaign triggered by Harvey Arscott & @Christian Marshall-Harris is bloody awe-inspiring and inspirational. You should all be so proud of yourselves and you’re representing the community that existed during the underground movements that existed in decades gone by leading to so much good music. YOU”RE AMAZING FOLKS, relish this feeling of coming together. You’ve given oldies like me faith that there’s more than commercialism and celebrity. Just bought on Google and playing constantly on my Spotify. My all time favourite band. Keith was an absolute legend and a gent. Was a privilege and an honour to be in his presence on several occasions and my heart truly broke on Monday. Rip Flinty, you are so missed! You're the firestarter, twisted firestarter"
Firestarter, the first track from The Prodigy’s album The Fat of the Land, was one of the definitive tracks of the nineties, and the accompanying music video was equally as memorable. However, the genius of the video came from creative innovation rather than a huge budget. We had no budget left – we had 15 grand or something – that’s the reason it’s in black and white. We couldn’t afford to have it in colour. [Walter] pulled together this location, Aldwych Tube Station, which is this old, disused tunnel. Like everything good with The Prodigy, it was all spontaneous. Everything happened without any thought. Off the cuff. We were just in the tunnel and it was just based on Keith’s performance. Hope #Firestarter makes the number one spot! Our thoughts are with the family and friends of Keith Flint at this difficult time.